There are lots of savings to be had at Ladbrokes Bingo this January, which is sure to give you even more play for your money – well as Tesco’s say, every little helps, and it certainly does. You will find all their savings deals located under the laddies January clearance promo tab and this will give you a full rundown of just what you can grab a bargain on whilst playing at Ladbrokes Bingo this month. There are only a few weeks left in Jan, so it might be an idea to get in on this cheap bingo action whilst you still can. Each Thursday you can take part in nose lose bingo, which basically means exactly what it says on the tin – the opportunity to play, at no risk to your own cash. For your info, these no lose games will take place in their attic room between 8pm and 10pm. For all these games cards prices have been set at 10p, and if you do not win they will give you your stakes back – meaning you just cannot lose, not one penny! Each player can have up to 12 tickets per game and prize pools will be worth up to £100 each, so you will not be playing for measly cash prizes either. If you do win the line, two lines or full house on a game, you will not get any money back – but we are sure you won’t care as you will already be a winner. Now for the bingo sale – between Friday 20th and Sunday 22nd Jan you can take part in their bingo sale and this offer will be on next weekend as well. During this time 3 nightly sessions of super book tickets will come out to play (7pm to 10pm) in their lounge room. Your cards will cost from just 1p each and prize pools will range between £60 and £600 from those penny stakes. 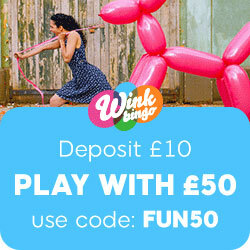 You can also choose to simply play for free with guaranteed prize pools of £6 or upgrade your tickets to the super books for bingo sale games. This entry was posted in Bingo Blog and tagged Ladbrokes Bingo on January 17, 2012 by Emma.